Enjoy the best inspirational, motivational, positive, funny and famous quotes by Almeida Garrett. Use words and picture quotations to push forward and inspire you keep going in life! 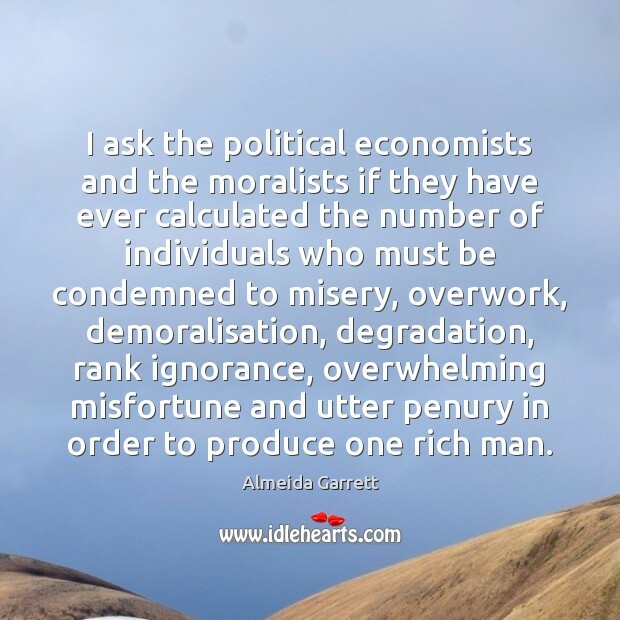 I ask the political economists and the moralists if they have ever calculated the number of individuals who must be condemned to misery, overwork, demoralisation, degradation, rank ignorance, overwhelming misfortune and utter penury in order to produce one rich man.